Most rain screen cladding manufactures do not recommend their cladding material be taken to grade level or below grade. Also rain screen wall systems need to be weeped above grade level. So how best to fill the gap at the foundation wall to allow for continuous insulation? T-Clear WallGUARD® fills the gap and allows for continuous foundation insulation above and below grade. WallGUARD® is manufactured using Dow Styrofoam extruded polystyrene insulation, with a factory-applied 5/16-inch latex-modified concrete coating. Panels are 2’x4′ with tongue-and-groove edges on the 4′ length. Ultra Light folded concrete allows you to hang concrete directly from the curtain wall with minimal weight and maximum aesthetics. For additional insights, read "A Tale of Two Facades" by Peter Vieira, Associate Principal at Payette. Dow Building Solutions (DBS) continues to remain a leader in the transition to a sustainable energy future with the announcement of 100 percent renewable energy procurement in North America for STYROFOAM™ Brand XPS Insulation, THERMAX™ Brand Insulation, FROTH-PAK™ Spray Foam Insulation and GREAT STUFF™ Insulating Foam Sealant operations in 2016. In 2015, roughly 10 percent of STYROFOAM™ XPS production and 50 percent of THERMAX™ production operated on renewable energy resources. Dow is one of the largest industrial buyers and consumers of renewable energy, reinforced with the 2016 announcement of clean energy targets through a ten-year wind power partnership with NRG Energy. An allocated portion of the renewable energy generation has been secured through renewable energy credits (RECs) and applied exclusively to manufacturing plants for Dow Building Solutions’ residential and commercial products. Wasco now provides the largest selection of skylight BIM models available for Revit® for our metal framed, continuous vault, and unit skylights. Designing with Wasco’s Revit families couldn’t be easier. Our industry-leading, high quality Revit families have been thoughtfully and accurately engineered to integrate seamlessly with your Revit model. Wasco’s Revit families include data and resources like specifications, product literature, material information, and much more, all within a few clicks of the mouse, allowing a streamlined workflow. This presentation will seek to provide a well rounded understanding of the key considerations and lessons learned from the use of extruded concrete cladding panels and factory molded concrete fins on the newBoston University Center for Integrated Life Sciences & Engineering. The architect of record will review reasons for the selection, and lessons learned from the detailing and specifying of extruded concrete façade panels and factory formed fins. The manufacturer will provide an overview of the material properties and capabilities of extruded concrete cladding and fins as well as lessons learned from the manufacturing of the folded panels and fins for the project. The installing subcontractor will review installation methods developed for the project as well as considerations for the packing, shipping and handling of the panels and fins. Thermally broken roof hatches feature a frame and cover design that minimizes heat transfer between interior and exterior metal surfaces. The result is a product that resists harmful condensation and provides superior energy efficiency. Knight Wall Systems is proud to announce that HCI-System, the company's new horizontal-girt rain screen attachment system that enables ASHRAE 90.1-compliant continuous insulation with vertical cladding, has been selected by Architectural Record as a winner of the magazine's 2014 Record Products in the category of Facades. This is an extreme honor, and we're very excited. "A jury of six professionals selected the best new products of the year from among 500 entries submitted for Architectural Record's annual competition. Jurors were asked to rate the entries on the criteria of innovation, usefulness, and—where applicable—aesthetics." To see Architectural Record's coverage on HCI-System in this month's edition, click here. And to learn more about HCI-System and specify it for your next project, click here. And to keep up to date on new product developments and initiatives, please "like" us on Facebook. Wasco Products, Inc. first introduced the acrylic dome skylight in 1949. For 65 years it has been an industry staple for bringing daylighting through a roof into a building. The original dome skylight, now made by many different manufactures, does not meet the 2009 and 2012 editions of the IECC. Wasco, the pioneer of dome skylights, has applied advancements in acrylic and aerogel technologies to reengineer the dome skylight. The EcoSky3 unit skylight meets and exceeds the requirements of the 2009 and 2012 IECC Prescriptive Fenestration Requirements for every climate zone in the United States. EcoSky3 also offers infrared blockers, glare free daylighting, fall protection with impact modified acrylic, and is certified by the NFRC. 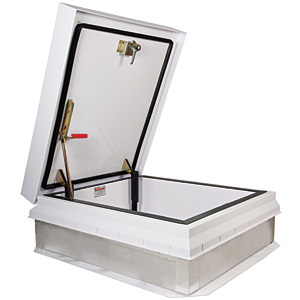 For more information on Wasco's EcoSky3 unit skylight, click the links below. As always if we can be of any help to you please contact us. Knight Wall Systems has sponsored this course to assist you in understanding evolving energy codes and ASHRAEstandards as they relate to the building envelope, insulation and hanging cladding. If you have been using Z’s to hang various cladding materials, have left that up to the cladding manufacturer, or simply call for “thermally isolated” clips, it is especially important that you take this CEU course. Once you have completed the course, we can certainly assist you with your questions and specific projects. As always if we can be of any help with your questions, design problems or simply for more information, please contact us.